Low-cost airline Norwegian, in conjunction with UK Trade & Investment (UKTI) South East is flying a diverse group of innovative South East-based small businesses on an action packed five-day market visit to New York next week. Under the theme ’Great British Design in New York’, 10 home, giftware and lifestyle businesses won UKTI South East’s competition to join the market visit. The businesses will fly on Norwegian’s unique low-cost long-haul flight to New York, where they will attend the leading home, gift and lifestyle market trade show, NY NOW, where over 400 product categories are represented and over 2500 companies are exhibiting. With the U.S. as the South East’s top exporting market, having expanded by a massive 55% to £8.1 billion in the year ending September 2015, the trip will provide opportunities for the winning businesses to capitalise on such export growth and demand. They will meet buyers and business prospects from around the world to build new trade links and export abroad. The UK companies will also learn about trading in the U.S. and gain valuable insight into the U.S. homeware, giftware and lifestyle markets. From fashionable luxury dog accessories to chocolate tools and utensils, the market visit will feature a range of businesses including specialists in award winning jewellery design, unique hand-made wooden clothes brushes, slingshots & contemporary dustpan & brushes, quirky baby carriers and premium male grooming. UK businesses choosing Norwegian can benefit from cheaper transatlantic travel with fares to the U.S. from as little as £149. 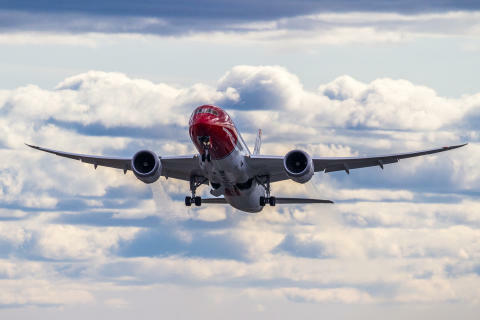 Norwegian which offers the UK’s only direct low-cost long-haul flights from Gatwick to key U.S. business hubs including New York, Boston and Los Angeles will start new flights to San Francisco-Oakland in May. 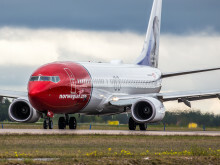 Thomas Ramdahl, Chief Commercial Officer at Norwegian said: “Norwegian’s low-cost long-haul flights are not only driving our UK growth but they can also facilitate overseas trade for more cost-conscious businesses. By collaborating with UKTI, we are giving businesses the opportunity to spread their wings into new markets that were less accessible due to high travel costs. Dr Catherine Raines, Chief Executive of UK Trade & Investment said: “The UK’s creative industries are the backbone of our economy, and generate around £8.8 million every hour. This is a figure that just keeps increasing and shows how important it is that we nurture the talent we have. Lewis Scott, Regional Director for the South East at UK Trade & Investment (UKTI) said: “As well as invaluable exposure to the South East’s top exporting market the winning companies will receive intensive support, guidance and contacts from UKTI South East International Trade Advisers and commercial staff from UKTI’s New York Trade Office. Economic research consistently shows companies who export perform better than those who don’t. The ease of international travel, to meet overseas partners and customers face to face, is a key ingredient for South East businesses to fulfil their potential. 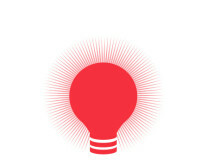 UKTI has recently launched Exporting is GREAT: Exporting is GREAT is the Government’s most ambitious export campaign ever. It aims to inspire and support 100,000 additional UK exporters to sell their goods and services overseas by 2020. The campaign’s mission is to turn the UK into the world’s greatest exporting nations, capturing the imagination of the public, boosting business confidence and national pride and empowering more UK companies to go out and succeed in global markets. Norwegian first introduced low-cost flights from London to the U.S. in 2014 and now serves seven U.S. destinations from Gatwick. Since pioneering the re-emergence of low-cost long-haul travel more than 430,000 passengers have flown transatlantic with Norwegian. Norwegian is the only airline to offer free WiFi on flights to all 29 European destinations where passengers can also watch live TV from channels including Bloomberg TV from their own devices. Norwegian’s low cost long-haul flights operate from London’s best-connected airport by rail, offering direct connections to 129 stations. Of the 38 million passengers travelling through Gatwick each year – one in five are travelling on business. Exporting is GREAT exists to help more first-time UK exporters make exporting work for them. We want to inspire businesses to make that move overseas and seize the growth it can bring. And we’re working with organisations passionate about helping UK companies to export and excel. Visit www.exportingisgreat.gov.uk now to access live business opportunities around the world, training sessions, business seminars and other events, as well as specialist trade services and support.